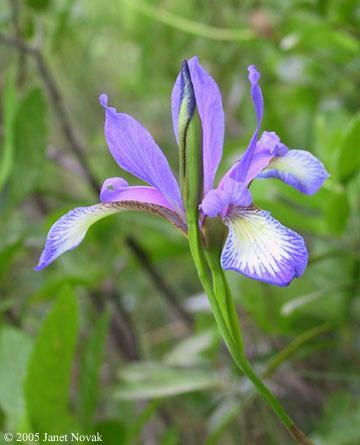 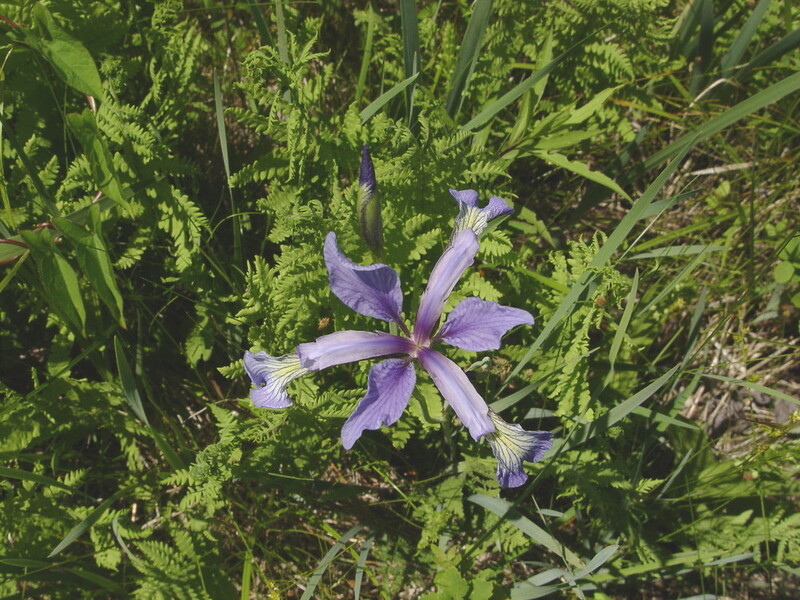 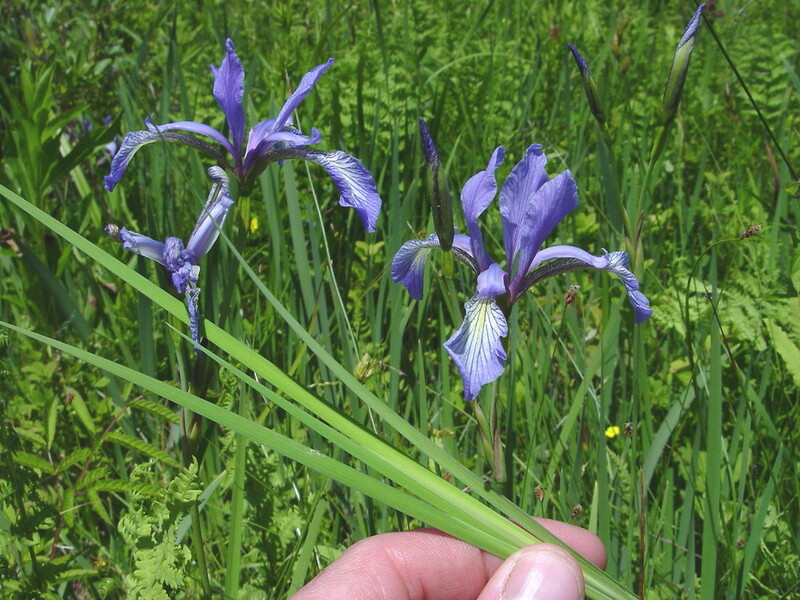 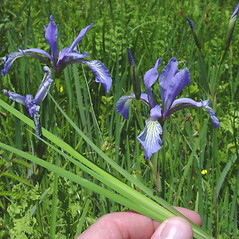 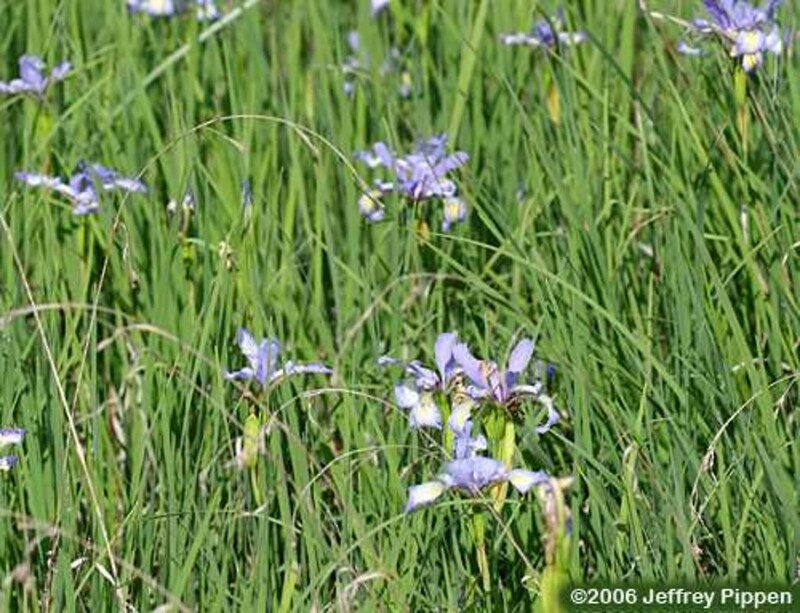 Slender blue iris is so named because of its very narrow leaf blades. 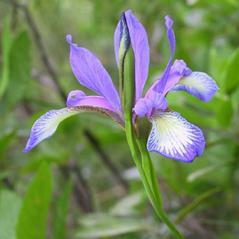 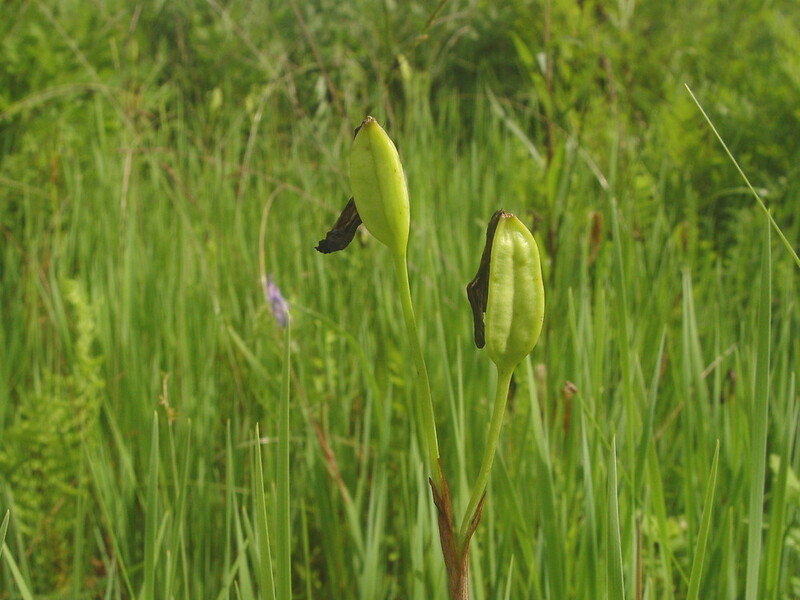 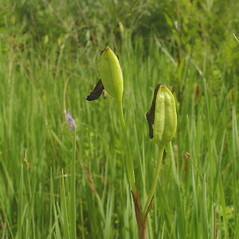 It is native to salt, brackish and fresh marshes, meadows and shorelines along the Atlantic coast from Georgia to Maine. 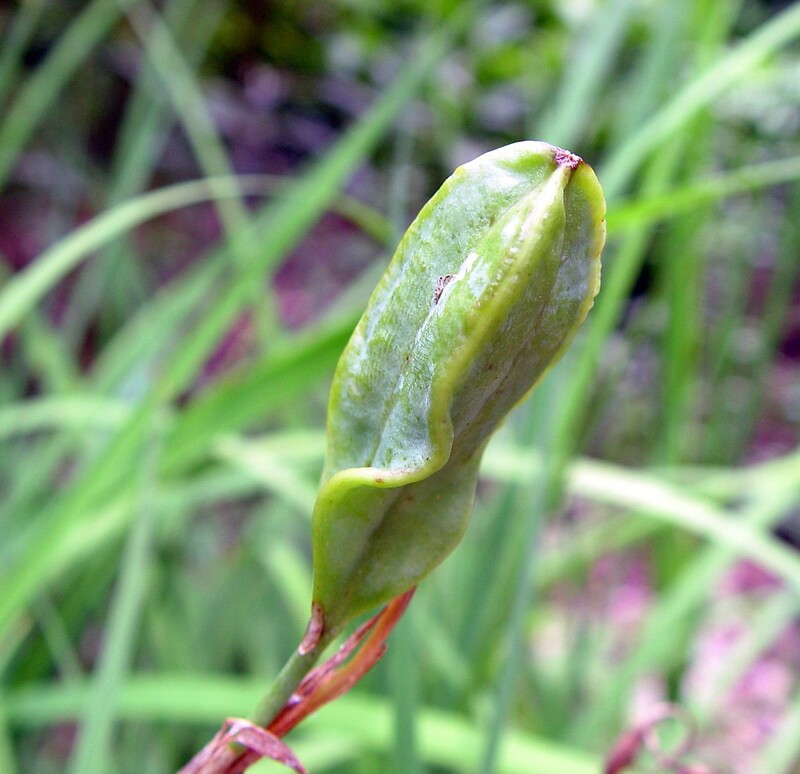 adnate floral tube longer than 5 mm tall, branches of rhizome similar to the primary rhizome in size and texture, and capsules rounded-triangular in cross-section (vs. 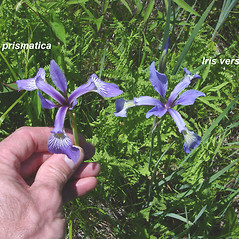 I. prismatica, with the adnate floral tube 2–3 mm tall, branches of rhizomes unlike the primary rhizome, bearing scale-like leaves along its length, expanding at apex to produce green leaves, and capsules sharply triangular in cross-section). 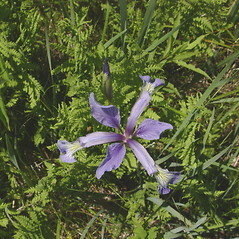 slender blue iris. 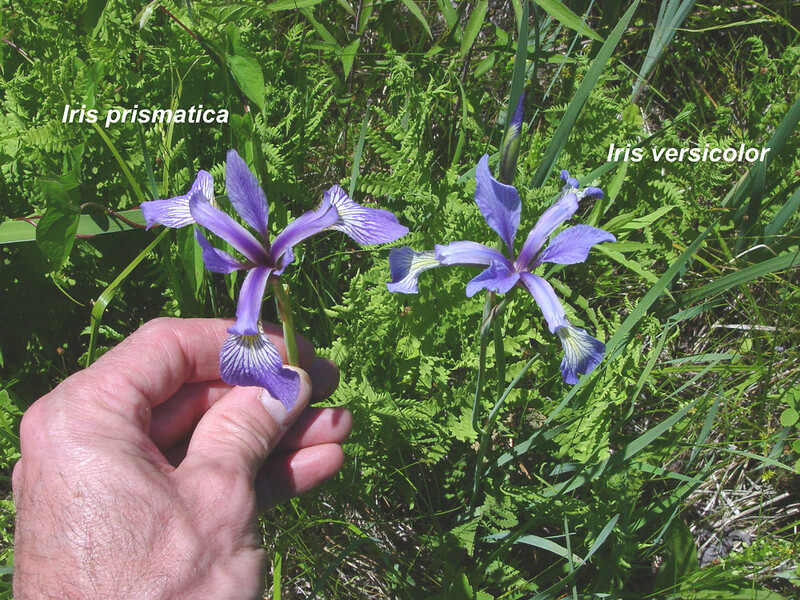 CT, MA, ME, NH, RI; also reported from VT by Seymour (1982), but specimens are unknown; mainly in coastal counties. 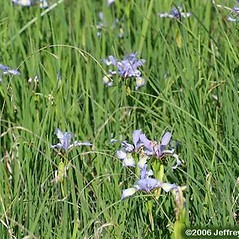 Fresh to saline marshes, meadows, shorelines. This species has narrow leaf blades 1–7 mm wide.